Tesla founder, Elon Musk is concerned that there won’t be enough lithium available to meet Tesla’s demand. And that’s while the full potential of lithium-ion batteries is still in its early stages – in coming years uses of the technology have the potential to skyrocket. So, if lithium supply is to keep up with demand, new sources of lithium and cost-efficient technologies to extract the metal are crucial. Lithium Australia (ASX: LIT) plans to help solve both of these issues. It is adding to its world-wide portfolio of lithium exploration assets, while its new lithium ore extraction technology, SileachTM, progresses towards commercialisation. The potentially game changing SileachTM process recently produced battery grade lithium carbonate , which could signal a possible paradigm shift in lithium processing practices and a new benchmark in spodumene processing. This is just the news prospective buyers and manufacturers such as Tesla, Samsung, Sony and more want to hear. The technology has the potential to transform the lithium industry. A significant cut in production costs, combined with rising lithium prices, would make production at many lithium projects financially viable that were not before. But there’s more to be impressed about than just LIT’s new ore extraction technologies. Its multiple lithium exploration projects, spread across the globe also gaining attention. Since we last looked at LIT , the company has made a number of advancements across its divisions. The next potential catalyst for the stock is the upcoming drilling in Mexico. LIT and its JV partner, Toronto-listed Alix Resources is expected to begin drilling in coming weeks. The ground is located next to C$134 million Bacanora Minerals’ (AIM: BCN) Sonora lithium project – the world’s largest lithium clay deposit. LIT is proceeding to commercialise its 100% owned lithium extraction technology with further testing scheduled with agreement with partner, Pilbara Minerals (ASX:PLS), at its Pilgangoora deposit outside Port Headland. LIT added to its strategic consolidation of lithium interests with the transfer of lithium rights in the Lake Johnston area, east of Perth. Promising infill airborne magnetic and radiometric survey results are now identifying the signature of previously unrecognized lithium/tantalum pegmatites. LIT continues to diversify its assets within Australia, and has applied for leases over prospective ground on Kangaroo Island in South Australia. 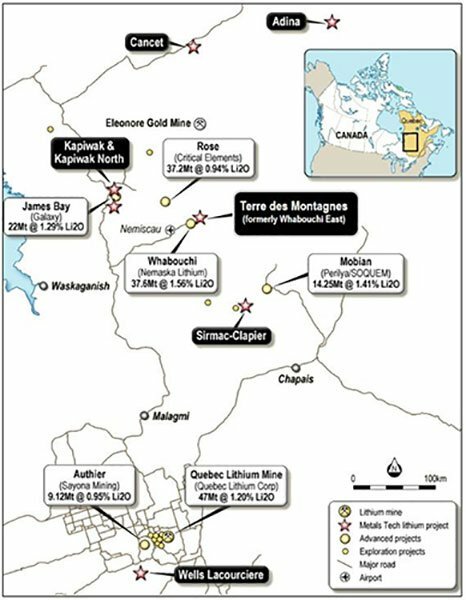 In Quebec, LIT has partnered with soon to be ASX-listed lithium explorer, MetalsTech, to gain additional ground in Canada and further expand its roll out of its Sileach TM technology. 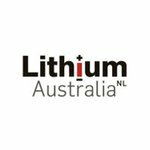 Testing of LIT’s trademark SileachTM lithium extraction process continues successfully at the pilot plant in Lucas Heights, NSW. The plant recently delivered exceptional results after testing over a six day period where ore was fed through the plant around the clock. LIT is also developing technologies that offer a solution to the growing need for recycling of technology metals, including lithium and supply constrained cobalt. Finally, LIT intends to make a conditional off-market scrip bid valued at $23.8 million for all fully paid shares for fellow WA lithium explorer and developer Lipidico (ASX:LPD). LIT hopes that by combining the companies, it can bring LIT’s Sileach process and LPD’s L-Max process together under common ownership, essentially giving it the opportunity to offer a wide range of lithium technology solutions to meet specific demands and optimise emerging commercial opportunities for lithium projects worldwide. LIT is much more than just a lithium explorer. Its operations are well diversified, both geographically with a suite of exploration projects around the world and positioned along the value chain. While it does have a large, and growing, exploration footprint, it is targeting a significant chunk of the value chain. That spans the entire life from initial exploration, all the way through extraction processes, and even to lithium recycling. Yet LIT continues to expand its domestic holdings as Australia, being a major lithium producer with 40% of all production, has an abundant source of lithium. LIT recently partnered with Toronto-listed Alix Resources Corp (TSXV: AIX) on the Electra lithium project in Sonara, Mexico. And in coming weeks drilling is set to begin. The Electra project is strategically located next to the C$134 million-capped Bacanora Minerals’ (AIM: BCN) Sonora lithium project, which contains an indicated mineral resource estimate of 4.5Mt of lithium carbonate equivalent, considered to be the world’s largest lithium clay deposit. LIT’s exploration followed a remarkable discovery of lithium bearing clays tracing over a strike length of one kilometre and an apparent thickness of 20-30 metres. Extracting lithium from clay deposits is another method in addition to the more widely known brines and hard-rock ore extraction methods. Clay extraction techniques remain in development and haven’t taken off the way brines and hard-rock extraction has. But this is soon to change with new sources needed as demand for lithium-ion batteries and their core ingredient, lithium, grows. In fact, lithium extraction from clay has already proven to be a winner for Bacanora Minerals. Bacanora has a lithium supply agreement in place with Tesla Motors to supply its Gigafactory in Nevada from its northern Mexico lithium mine – one of the world’s largest. Lithium is a key ingredient in the batteries Tesla produces at its Giafactory. Tesla lithium demand, and more importantly its anticipated future demand, has seen the company turn to new, alternative sources of lithium, such as Bacanora Minerals project. Of course there are no guarantees that LIT will sign a similar agreement, but it is taking the right steps to position itself for success. Not only that, but Lit recently commented on what it is seeing next to Bacanora – suffice to say “clays aint clays”. LIT is finding the host minerals are not what they expected, and the potential to beneficiate may well be the key to success. The big question is: What will LIT unearth in the upcoming drilling? LIT currently has 25% equity in the Electra Project, with Alix Resources holding the remainder. But it is seeking to earn a majority interest of up to 65%, by contributing to various project expenditures and making progress payments in cash and shares. Funding the already planned drill project will see LIT extend its interest in the project to 49%. 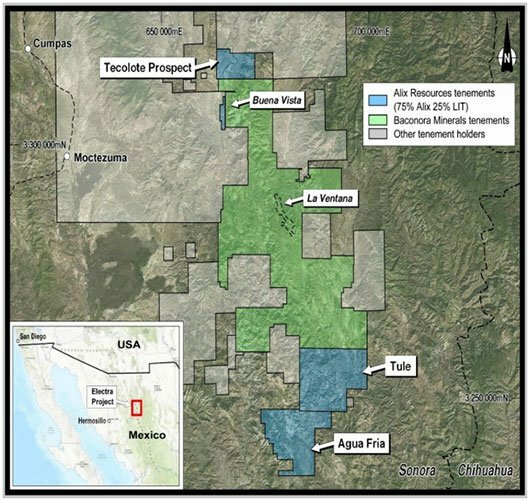 On 8 December 2016 LIT announced that high grade assays in excess of 1,000 parts per million had been reported in sampling work at Agua Fria, which is part of the broader Electra Project. These results showed the values to be high in comparison to other reported surface samples. Following up on January 13, LIT and Alix Resources announced that the project has progressed to the key metallurgical testing stage – testing Agua Fria lithium samples. The testing found high grades in trench samples and mineralised clays extended to over 5km strike. Results to date have been impressive, with the project leaping out of the starting gates. But the true potential at depth is still to be determined by drilling outcomes. Investors won’t have to wait long, with the joint venture preparing to drill right now. However, the JV is still in its early stages and should not be the sole influencer in any investment decision with regard to this stock. Please seek professional financial advice for further information. Australia is presently the main source of hard-rock lithium, closely followed by Chile. Australian production is hard-rock extraction, which tend to be are higher grade than lithium from brines. Capital costs are lower for hard-rock extraction, but operating costs are higher than for brines. However, LIT’s lithium extraction technology are set to significantly reduce the extraction costs for hard-rock lithium producers. 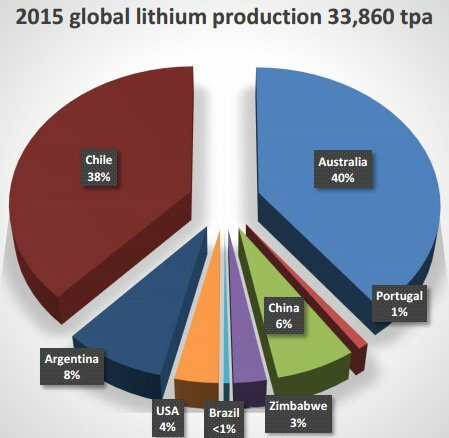 According to LIT, global lithium supply is currently around 50% from brines and 50% from spodumene / high grade lithium ores (hard-rock deposits). There has been a recent resurgence in hard-rock lithium production , seeing output eclipse that of brine production. New hard-rock production has lower capital intensity than brine production, is quicker to bring on line and hence better suited to responding to changes in market demand. Australia lies at the forefront of planned production increases from spodumene bearing pegmatites. LIT currently has domestic holdings in Western Australia, Northern Territory Queensland and South Australia. But its search is far from over, with the company continuing to look Australia-wide for additional lithium sources. The broad search is designed to de-risk LIT’s lithium exploration portfolio by providing exposure to multiple lithium opportunities across multiple state jurisdictions. This geographic diversity strengthens LIT’s portfolio and provides the opportunity to match the best available processing technology with the mineralisation types encountered. In October, 2016, LIT added to its strategic consolidation of lithium interests with the transfer of lithium rights in the Lake Johnston area, 440km east of Perth from Lefroy Exploration (ASX: LEX). Past sampling in the area has presented a compelling case for regional consolidation. 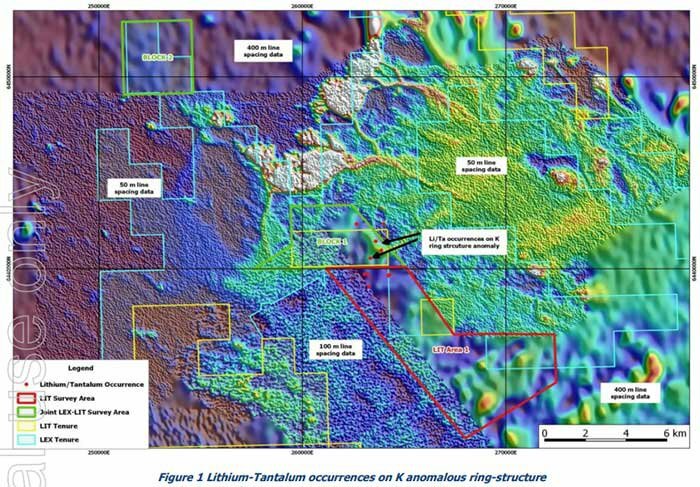 The new holding is directly east of Kidman Resources’ (ASX: KDR) Earl Grey project, which received extensive media coverage and generated excitement amongst investors after large high-grade lithium mineralisation discovery. Both of the acquired tenements were granted exploration licenses when owned by Lefroy Exploration and these will also be transferred over to LIT. As part of the deal LIT issued nine million shares to LEX for the lithium rights, whilst Lefroy Exploration issued three million shares to LIT for gold and nickel rights. The project offers a reduced start-up with the Lake Johnston area already serviced by local supporting infrastructure. Excellent results were returned from soil sampling at Lake Johnston in October when Poseidon Nickel’s Maggie Hays and Lake Johnston operations were found to contain lithium mineralisation . Then in December, LIT completed an infill airborne magnetic and radiometric survey over a portion of the company’s Mt Day and Lefroy Exploration’s Lake Johnston Project, over which LIT holds the lithium rights. In collaboration with Lefroy Exploration, the airborne magnetic and radiometric survey results defined lithium/tantalum pegmatites at Lake Johnston. LIT updated the market on January 27 , with news that it has identified known and possibly buried lithium-tantalum bearing pegmatites at Lake Johnson. The survey covered areas of the Lake Johnston Greenstone Belt where the Maggie Hays Formation has been intruded by lithium tantalum bearing pegmatites. Previous airborne geophysics was not detailed enough to understand the geological and structural setting of the pegmatites. This area has had some attention generating discoveries in the past. Poseidon Nickel discovered lithium mineralisation in their adjacent tenement last year, further validating that the area is rich in minerals. The question is what exactly might be on LIT’s ground? Well, in its latest announcement on February 4, LIT advised the market that newly acquired airborne geophysics data from the infill airborne magnetic and radiometric program clearly identified known and possibly buried lithium-tantalum bearing pegmatites. LIT and Poseidon plan to share resources to expedite the exploration and resource definition for lithium, tantalite and nickel in the Lake Johnston area and have planned further exploration activities in 2017. In its ongoing Australia-wide search for lithium assets to add to its local portfolio, LIT snapped up leases over prospective ground ion Kangaroo Island in January. With its maiden move into South Australia , LIT is targeting an area on Kangaroo Island which has never before been target for lithium exploration or production. This means LIT is the only firm looking for lithium there and the first to do so. 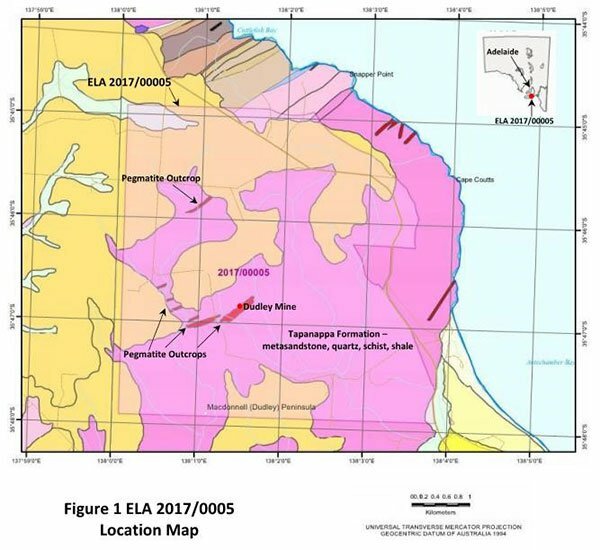 Yet the terrain on the leases, which are 100 kilometres southwest of Adelaide in South Australia, looks promising with lithium bearing pegmatite occurrences noted. Research identified it as a prospective geological setting, leading to an Exploration Licence Application covering the most favourable ground on the eastern side of the Island, over an area of 27 square kilometres. This untapped resource is an exciting development for LIT as it has all the hallmarks LIT is looking for. It is the right geological environment, has past identification of the lithium mineral suite and has some historic pegmatite mining. To get a bit technical, in terms of geological make up the pegmatite was predominantly feldspar-quartz-muscovite, with varying amounts of topaz tourmaline varieties elbaite (a lithium tourmaline), rubellite and indicolite, graphite, citrine and apatite. In short, the new grounds in South Australia have the all characteristics that LIT is after, and is something that might make investors’ ears prick up. Partnering with soon to be ASX-listed emerging explorer, MetalsTech, is another reason to sit up and take note of LIT. MetalsTech owns a portfolio of seven highly prospective hard rock lithium projects under development in Quebec, Canada, one of the world’s rapidly emerging lithium pegmatite provinces. The pair agreed to work together on a number of projects in Canada. The Agreement means MetalsTech has exclusive use of LIT’s proprietary lithium extraction technologies, SileachTM and LienaTM, to process spodumene concentrate from its lithium projects, within Quebec. This use of these technologies brings LIT’s ever closer to its goal of becoming a technology leader in the growing lithium market. What LIT gets from the partnership with MetalsTech is significant equity and technological leverage across six exciting and highly prospective hard-rock lithium projects in Quebec. 2% Gross Revenue Royalty on any products that are produced by MetalsTech using LIT’s proprietary lithium extraction technologies. LIT shareholders will receive a $1 million priority offer to participate in MetalsTech’s upcoming IPO. That means shareholders can be part of MetalsTech’s highly prospective hard-rock lithium projects in Quebec, which will benefit from LIT’s propriety extraction technologies. On top of its exploration ventures, LIT’s revolutionary ore extraction technologies, provide a big point of difference between the company and other conventional lithium explorers. LIT’s technology aims to cut extraction costs involved with lithium bearing hard rocks to similar levels to extraction of lithium in brine. This will make more hard rock projects financially feasible and competitive. LIT has two types of ore processing technology: halogens and hydroxides. Different ore types respond differently to the two treatment methods, so LIT can extract ore and tailor the optimum-processing outcome as required. SileachTM – a halogen digest. LienaTM – a selective caustic leach. There are several key benefits to SileachTM over current methods that make it potentially game changing technology, including its applicability over the range of ores. Furthermore, there is no roasting required with the SileachTM process and additional by-product credits are recovered; the process itself is low cost, low energy and has a low temperature/atmospheric pressure requirement. Independent laboratory tests of SileachTM demonstrated lithium extractions from the alpha-spodumene of up to 92% in just four hours. 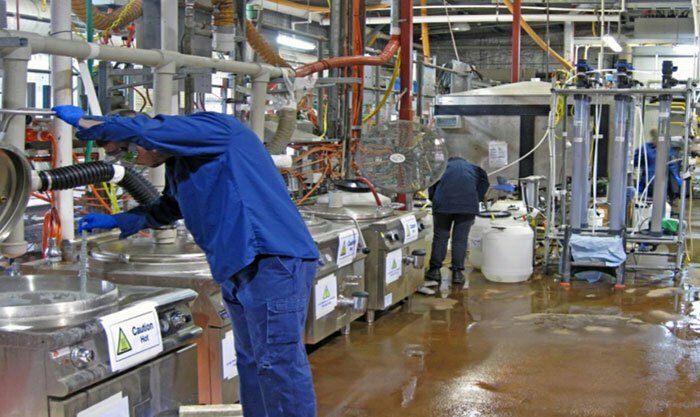 Pilot plant testing for LIT’s SileachTM hydrometallurgical process began in early September, in Lucas Heights, NSW. The aim is for SileachTM to emerge as a cheaper alternative in the recovery of lithium from hard rock sources, including lithium ores such as spodumene, micas, jadarite and clays. Results from the pilot plant run were announced in October. They showed high plant availability, exceptional lithium extraction results exceeding 95%, and high levels of lithium carbonate purity. The pilot plant was in continuous operation around the clock for six days from September 12-17, 2016, being fed ore from Lepidolite Hill, WA, using the SileachTM process. Approximately 650kg of lepidolite ore was processed at an average throughput of 6kg/hour. From here, LIT aims to produce 2,000 tonnes per annum of saleable lithium carbonate and consume feed up to 400,000 tonnes per annum of concentrates. Of course there is no guarantee behind these numbers as yet, so investors should take a cautious approach to their investment decision and seek professional financial advice. The SileachTM process has the potential to catapult Australia into the forefront of the lithium battery boom by supplying optimal grade and purity material from low-energy production of lithium chemicals. Such is the potential of LIT’s SileachTM lithium processing technology that the Western Australian government approved a grant of $195,632 last year to support its development, its second grant from the state government to date. 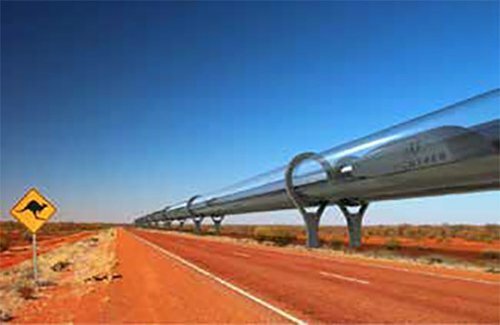 Then the Australian Federal Government chipped in a further $50,000 for the breakthrough technology. If SileachTM can perform as LIT expects, it could place the lithium explorer at the leading edge in the lithium extraction process globally. The benefit to investors in LIT is two-fold. Not only does LIT offer exposure to the commodity itself, but also potentially game changing technology used in the extraction process, which could be a company maker in its own right. The commercialisation of the SileachTM process offers enormous potential for LIT and the lithium industry overall. And major players have taken note. Last June, LIT signed a commercialisation agreement with $694 million-capped Pilbara Minerals (ASX: PLS). On completion of the feasibility study, LIT and Pilbara Minerals will proceed with a 50/50 joint venture to process spodumene from Pilbara Minerals’ Pilgangoora deposit, which is located only 120km south of Port Hedland. Ahead of the joint venture agreement, a 24 hour run of the SileachTM pilot plant for the processing of spodumene concentrates supplied by Pilbara Minerals was held in December. The trial was successfully, with the pilot plant operating well at the target operating conditions. LIT has awarded the design contract for the large-scale pilot plant, with a capacity of 2,500 tpa lithium carbonate, and anticipates the engineering reports will be available in April 2017. 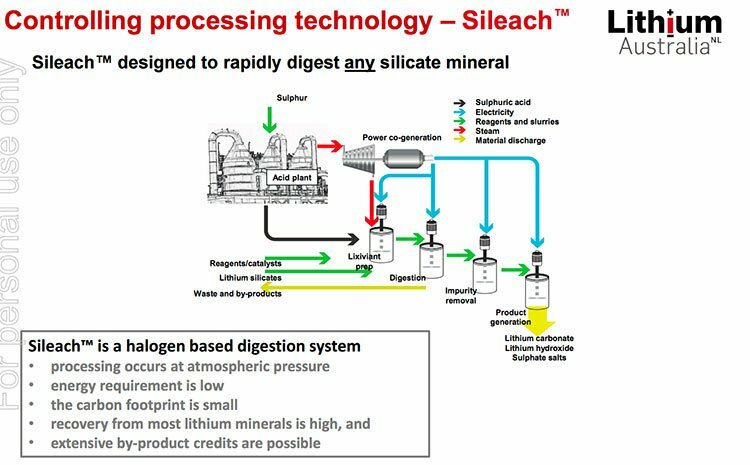 In another exciting announcement, LIT last month reported that its SileachTM process had produced battery grade lithium carbonate . Battery grade lithium carbonate was produced from material processed using LIT’s SileachTM halogen digestion process at ANSTO Minerals, which is a division of the Australian Nuclear Science & Technology Organisation. 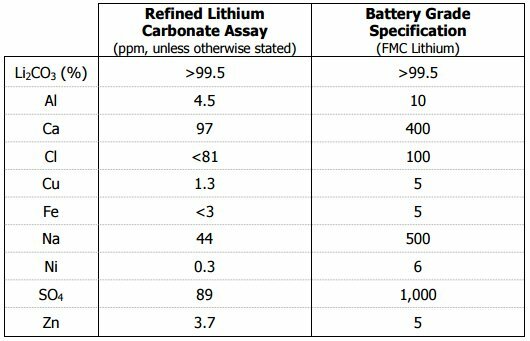 The quality of this lithium carbonate met or exceeded the specifications of the battery grade lithium carbonate produced by one of the world’s largest suppliers of lithium chemicals, the US$6.3 billion-capped FMC Corp. The production of this high-quality carbonate shows that LIT’s SileachTM can produce commercial products from a range of silicate materials. 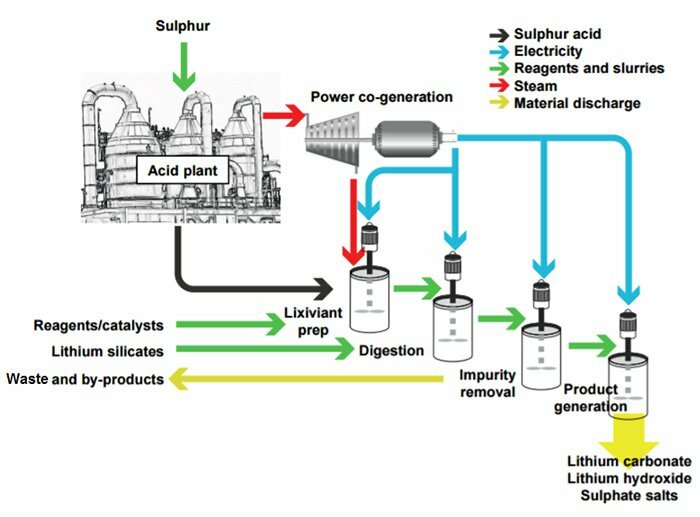 This includes materials that are not typically used to produce lithium chemicals due to limitations in existing processing methods. LIT expect the run to create a benchmark in the hydrometallurgical processing of spodumene, and a possible paradigm shift in lithium processing practices. The result comes ahead of continuous SileachTM pilot plant operations on spodumene concentrates from Pilbara Minerals’ Pilgangoora project. This anticipated production of lithium carbonate from Pilbara Minerals’ Pilgangoora spodumene concentrates is expected to achieve similar ground-breaking results, as were achieved at ANSTO Minerals. Results are expected shortly. On December 30, LIT announced an important milestone with news that its trademark application for LienaTM had been accepted. The company explained that LIT will continue to fund research and development to unlock novel ways to extract lithium from silicates; and to ensure that the best process is used for each individual orebody with reference to the mineralogy, jurisdiction and advantages of the relevant region. While the lithium-ion battery market is still a long way off maturity, there’s enormous potential in recycling lithium and other metals used to make lithium ion batteries. As lithium-ion batteries use rolls on, demand for recycling solutions will skyrocket. New global legislation will also force industry into more responsible recycling program. Forward-looking LIT is advancing its recycling plans , thereby setting itself up early to be a leader in developing a solution. By getting in early and identifying an opportunity to fill a need, LIT will be well placed to fill a need that will only grow from here. This comes as part of its broader strategy to diversify its operations by generating a range of products, applying processes with a low-energy footprint, and expanding its operations to those with minimal exposure to mining costs. Current recycling methods do recover some base metals found in batteries, but recover almost no lithium. LIT wants to go further. It will evaluate the logistic chain from ‘cradle to grave’ to determine the deportment of all components of lithium ion batteries and develop a strategy to maximise the recovery of all materials at the end of the products’ useful life. LIT is now seeking partners to capitalise on the expanding opportunities it sees in Australia and North America. LIT is making consistent progress and the taking the right steps to become an established globally diversified lithium processing business, while continuing its development of disruptive lithium extraction technologies. And it seems that investors are beginning to take note. Stay tuned as LIT works towards becoming a major player in the global lithium market and give Elon Musk all the lithium he needs.